National and international standards define the manner in which electric circuits of LV installations must be realized, and the capabilities and limitations of the various switching devices which are collectively referred to as LV switchgear. Design of LV electrical installations in buildings, shops, offices, warehouses, hotels etc. These functions are summarized below in table H2-1. A gap or interposed insulating barrier between the open contacts, clearly visible. 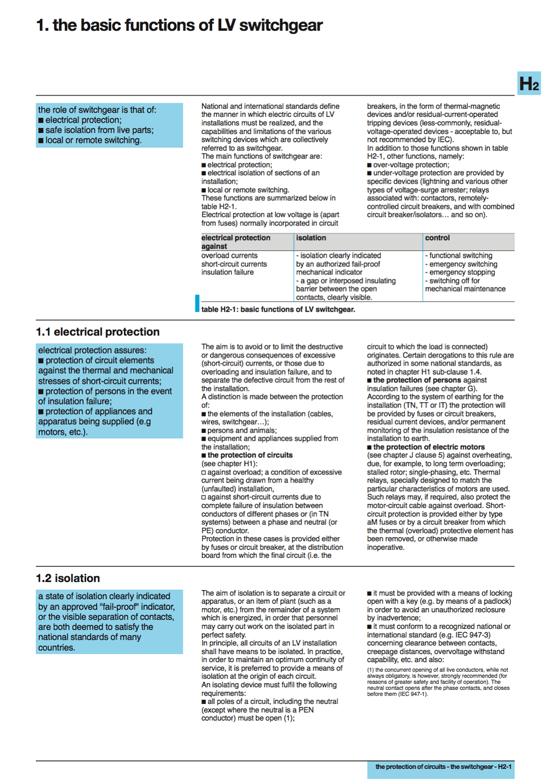 Electrical protection at low voltage is (apart from fuses) normally incorporated in circuit breakers, in the form of thermal-magnetic devices and/or residual-current-operated tripping devices (less-commonly, residual-voltage-operated devices – acceptable to, but not recommended by IEC). Under-voltage protection are provided by specific devices (lightning and various other types of voltage-surge arrester; relays associated with: contactors, remotely- controlled circuit breakers, and with combined circuit breaker/isolators… and so on). The aim is to avoid or to limit the destructive or dangerous consequences of excessive (short-circuit) currents, or those due to overloading and insulation failure, and to separate the defective circuit from the rest of the installation. Against short-circuit currents due to complete failure of insulation between conductors of different phases or (in TN systems) between a phase and neutral (or PE) conductor. Protection in these cases is provided either by fuses or circuit breaker, at the distribution board from which the final circuit (i.e. the circuit to which the load is connected) originates. Certain derogations to this rule are authorized in some national standards. 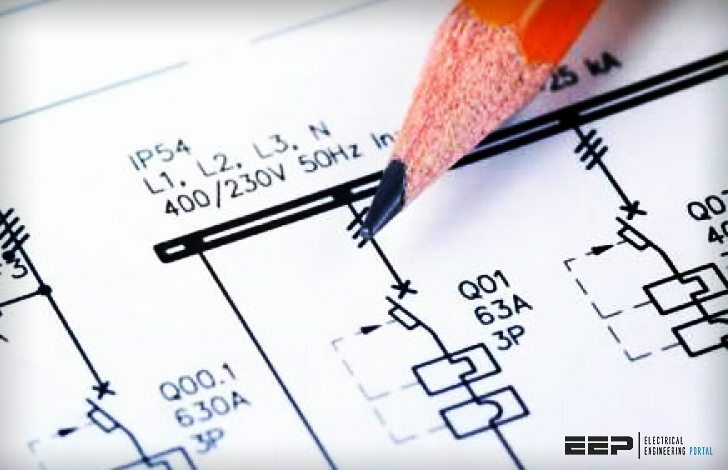 According to the system of earthing for the installation (TN, TT or IT) the protection will be provided by fuses or circuit breakers, residual current devices, and/or permanent monitoring of the insulation resistance of the installation to earth. The protection of electric motors against overheating, due, for example, to long term overloading; stalled rotor; single-phasing, etc. Thermal relays, specially designed to match the particular characteristics of motors are used. Such relays may, if required, also protect the motor-circuit cable against overload. Short- circuit protection is provided either by type aM fuses or by a circuit breaker from which the thermal (overload) protective element has been removed, or otherwise made inoperative.